These past four weeks have been the biggest whirlwind of my life. I can’t describe how much I’ve learned and how many incredible people I’ve met. It didn’t hit me until Monday when I realized that I had less than four days to enjoy Paris. In between final assignments and program field trips I fit in time to visit the Galerie Lafayette and Hotel de Ville. Both visits were absolutely incredible. One of the best parts about the Galeries Lafayette was the view at the top. One look and you can see the Eiffel Tower, Notre Dame, and L’arc de Triomphe. It was one of the best views I think I’ve ever seen. The Hotel de Ville was also an incredible moment as it is filled with such incredible history. It is still used to this day and hosts many functions and events. Also, I learned that whenever France elects a new mayor they have to ascend/descend a grand staircase which has been a tradition for over 200 years. 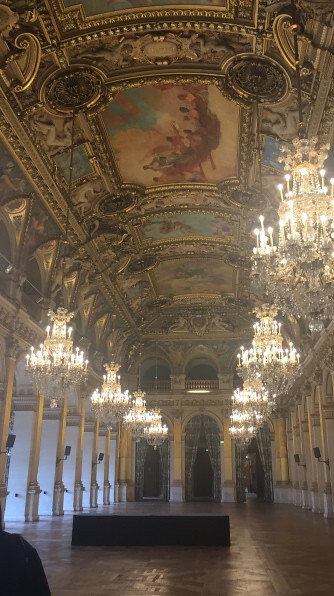 While at the Hotel de Ville I also got to see the multiple ballrooms inside. Stunning is not even the word to describe how amazing it was. 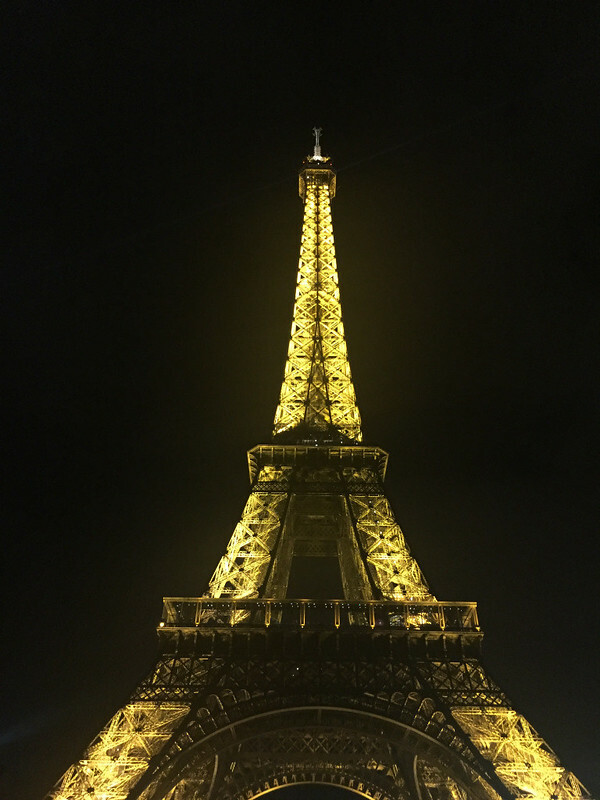 To celebrate our last night in Paris the entire Drexel in Paris study abroad group cooked food and had a picnic at night in front of the Eiffel Tower. This was my first time seeing the Eiffel Tower at night and it was absolutely incredible. It was also my first time seeing the Eiffel Tower lit up with lights, and every hour or so it would sparkle. It was nice to take a moment from packing and getting ready to leave for London to sit back and reflect on the incredible four weeks that we had. I remember laying down and looking up at the Tower and realizing that I was actually in Paris. I’ve dreamed about coming to Paris for such a long time, and the experience has been everything that I imagined it would be. However, I’m ready to continue my study abroad adventure in London!